What do you think of when you hear the words “social media”? There are so many outlets: Facebook, Instagram, Twitter, and Pinterest to name a few. Generally, they are great websites, full of ideas, information and social interaction. You can find things to buy, events to attend and in general, learn more about current events and the world around you. Social media is also a fantastic marketing opportunity. Small businesses can seem large. Large businesses can improve their branding and customer service. No matter what your business is, social media can help it grow. Not maintaining a social media presence is like turning down free advertising. Facebook, Twitter, Pinterest and Instagram all offer free accounts to businesses. You don’t have to pay to have an account. One of the best aspects of managing social media is the convenience it offers. It’s all running on mind-power. You don’t have to drive anywhere to work on it. You don’t even have to get dressed. While it is time consuming, it does not require you leave the house and that makes this aspect of managing your business very convenient. It’s not often that you have the chance of increasing your sales by sitting behind a computer screen, but social media offers that. Social media increases your audience from a local one to a global one. Social media is used by hundreds of millions of people all over the world. All it takes is for one person to share it with someone who was looking for that information anywhere in the world. That increases your chances of making a connection with someone who is need of your products or services no matter where they are at. Social media optimization is a term to describe the techniques and strategies being used to draw attention to your business or products. The idea is to have as many people share your information as possible, so there’s a lot of marketing that goes into the design and implementation of successful social media pages. Due to its precise nature, hiring a virtual assistant is the best route. It saves you time and ensures that you have a professional with experience at the helm. While having several social media outlets is great for your business, it is time consuming. In order to make social media work for you, you have to stay up to date. You can’t have stale information on any of your pages or accounts. How “Social” is Your Social Media Marketing? 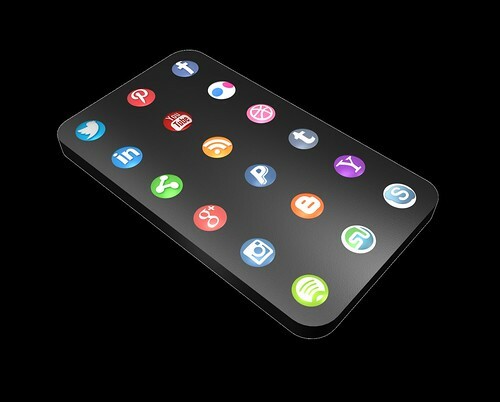 Are You Using Social Media To Its Fullest?